Each Makkar Hospital Specialists has brought together a friendly team of Best Pediatrics specialists to provide the best care at every stage of your child’s development. 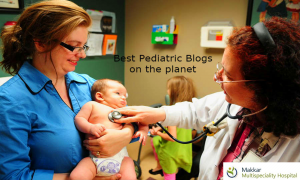 We are Best Pediatrics in Delhi. We are committed to providing quality personalized healthcare to infants, youngsters and youths. We anticipate turning into your medicinal home. Our association with our patients is family focused and we are here when you require us. We give quality comfort by offering same day arrangements and every minute of every day access to pediatrician. We are focused on making each visit as charming as workable for you and your family. We focus on medical and developmental needs of our patient population and provide comprehensive office based services for well child care, vaccinations, conduct and formative issues and treatment of routine youth diseases. We need you to feel sure that when you pick Best Pediatrics in Delhi as your tyke’s essential doctor, you’re working with a minding, qualified and experienced group. We outfit you with the help and assets you have to settle on the most taught choices about your youngster’s well being. Our team consists of expert pediatric consultants from internationally well-known institutions with long-standing experience in Best Pediatrics in Delhi. Routine well child and infant care, including school and sports physicals. Diagnosis, management and treatment of allergies (including eczema), atopic diseases and asthma. Diagnosis, management and treatment of rickets (Vitamin D deficiency). Urination troubles in children, including enuresis. Weight management and nutritional counseling for overweight and obese children. Vaccinations and immunizations, including those for international travel. Developmental counseling, and much more. We have a comprehensive vaccination program and all the latest vaccines are available. However, a clear distinction is made between routine and additional vaccines, as recommended by the Indian Academy of Pediatrics. When multiple variants of the vaccines are available, we make it a point to explain and help parents understand and take the right informed decision for there child.